1. 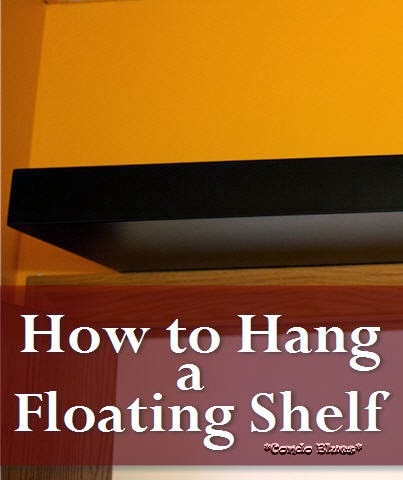 Your shelf will be less likely to crash to the ground under its own weight if you attach it to a stud in your wall. Guess how I know? 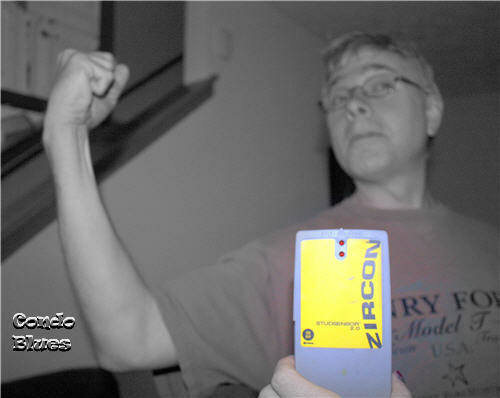 The easiest way to find wall studs is to run a stud finder along the wall until it lights up indicating where the stud is so you can mark it with a pencil. 2. 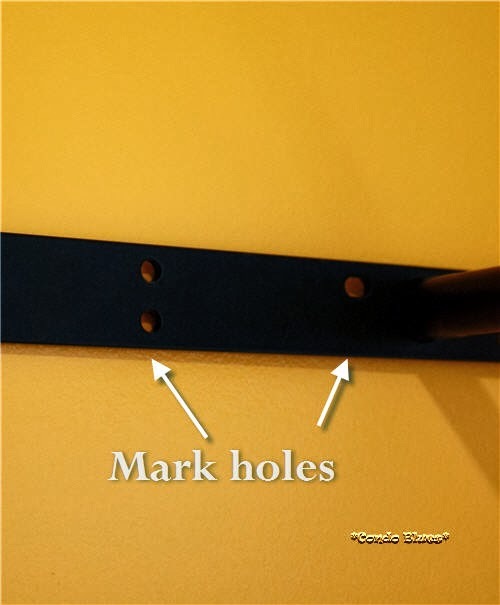 Place the floating shelf bracket where you want to hang it on the wall and mark the screw holes with a pencil. Try to line up the screw holes to the wall studs you marked in in Step 1 if possible. 3. Use the level to double check that the area you marked for the screws and bracket are level with the level. Install the drywall anchor by drilling a small pilot hole in the wall with the drill and screwing the drywall anchor into the wall with a manual screwdriver. I like to use a manual screwdriver with wall anchors because I think they bit into the drywall better and stay put. Drywall anchors come in different sizes depending upon how much weight you think the shelf will hold. My shelf will be decorative, so I am using smaller anchors. As always, your mileage may vary. 5. 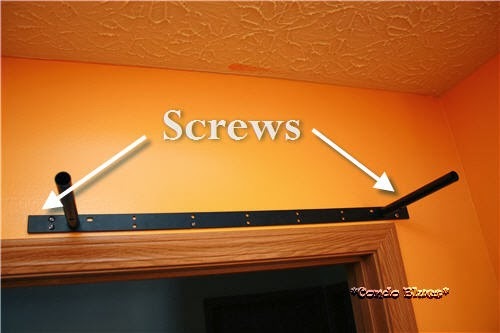 Line the floating shelf bracket up over the wall anchors and use the screws to attach the bracket to the wall. I like to use my impact driver (learn more about this useful tool here) for this step since I usually do these things by myself, on a ladder, and almost always hang stuff over my head. 6. 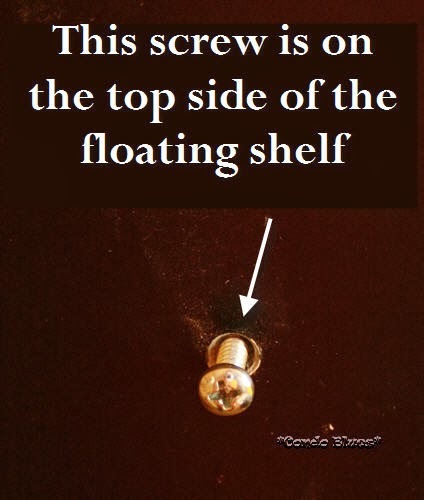 Slide the floating shelf on to the wall bracket and screw the shelf to the bracket. 7. Ready, set, decorate! 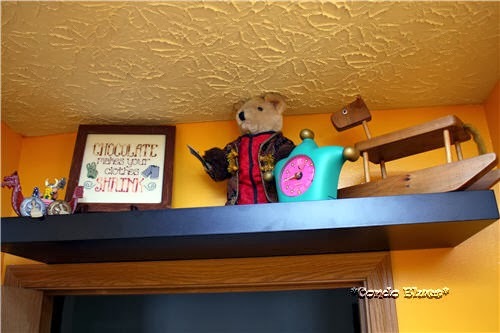 I shopped the house for items to display.